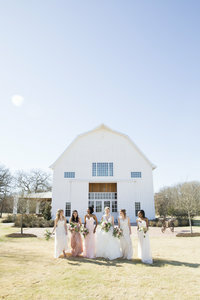 The Establishment Barn in Dallas, TX is one of the most gorgeous new wedding venues available to couples in the area! Sara and her father started The Establishment Barn for her own wedding in the summer of 2018. The barn is absolutely stunning – it’s a gorgeous grey color on the outside and the interior is a perfect white, which is a great backdrop for portraits, wedding ceremonies and receptions alike. It’s so exciting for Sara and her family to be starting this new venue and I can’t wait to see what becomes of it! When Alexa Kay Events and the incredible team of vendors approached me about photographing this styled shoot, I was thrilled! This shoot was full of beautiful lace inspired details, pink and gold reception place settings, and beautiful flowers for the bride! 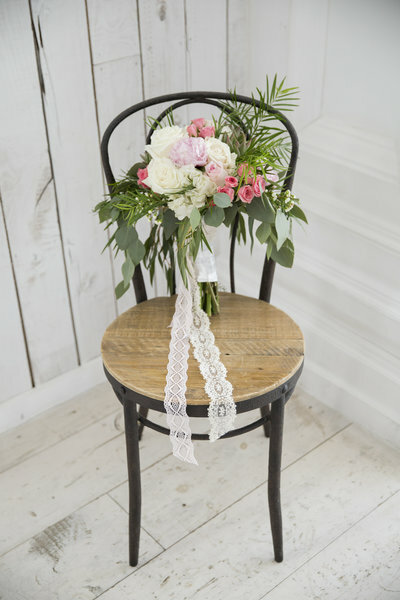 The team chose a blush and ivory color scheme that worked perfectly in The Establishment Barn’s gorgeous white walls. During the shoot, we photographed some bridal portraits inside the barn too. 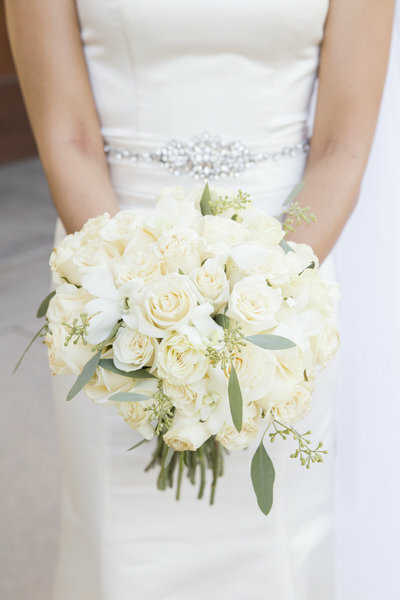 The portraits were simply stunning – the perfect inspiration for a classic bridal look. The lace gown from Sophia’s Gowns was a perfect pick!! Every vendor that was part of the team for this shoot put in a lot of hard work and it really showed in the details. I feel so honored to be able to have captured it all for them! As you’ll see, I had a great time photographing this shoot at The Establishment Barn. What’s amazing about this venue is that no matter what style wedding you choose, it will fit in the space – rustic, classic, elegant… it’s all going to be incredible there! 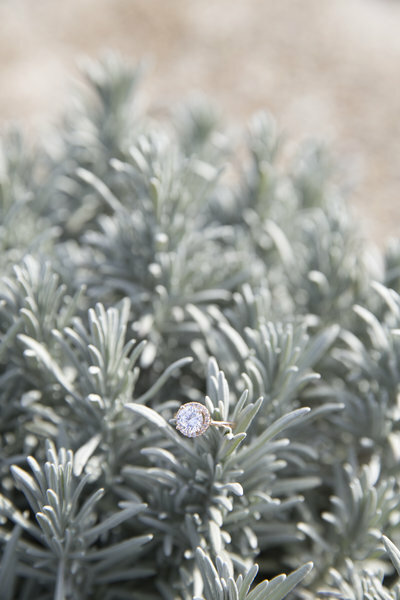 I am so excited for all of the future brides to come into this space and make it your own!